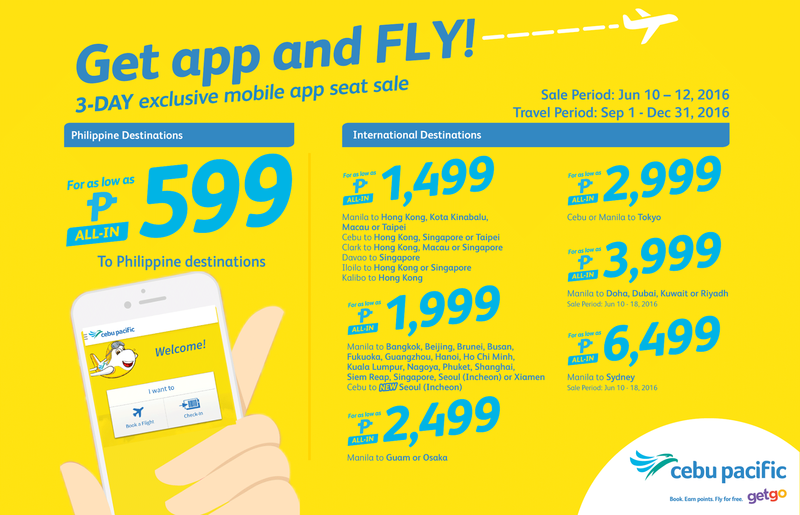 This is the chance now to book cheap fare for this year with Cebu Pacific! You can fly to Philippine Destinations for only Php 599 ALL IN! You can fly also from Manila to Hong Kong, Kota Kinabalu, Macau, or Taipei for only Php 1499 ALL IN! This promo also includes flights to Guam, Osaka Japan, Sydney!